If you are planning a move in Oakland, forget about getting cardboard boxes. 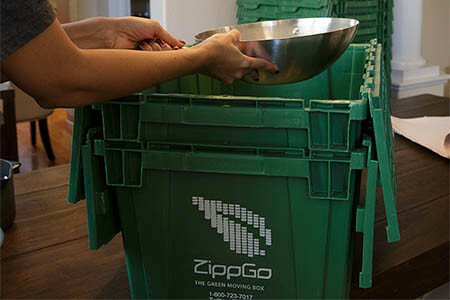 Instead rent plastic moving boxes from ZippGo and get them delivered right to your door. With our moving boxes Oakland residents will simplify their move by saving time, money, and frustration. Our plastic moving boxes come in three different sizes so you can safely pack everything from bedrooms, kitchen, office, bathroom, and living spaces. Plus since our boxes are made from durable commercial-grade recycled plastic, your items will be safe. The attached lids close and can be secured with the free zip ties we provide with every package. Unlike cardboard moving boxes, ZippGo's boxes don't need to be assembled, don't need tape, and arrive ready to be packed. We deliver to all the Oakland neighborhoods including Piedmont, Crocker Highlands, Downtown Oakland, Jack London Square, West Oakland, Rockridge, Elmhurst, and Montclair. Instead of buying cardboard boxes, lugging them to your Oakland home, and then spending hours taping boxes, rent plastic moving boxes from ZippGo and simplify your move. 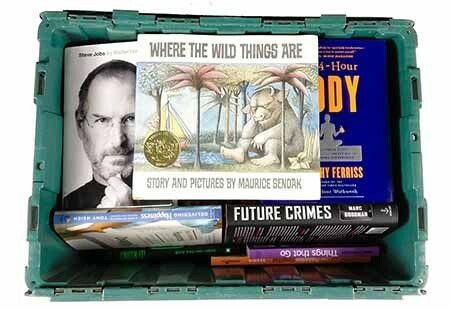 Place your order online in minutes and we'll bring our green reusable moving boxes right to you. 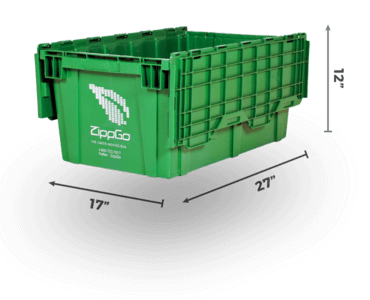 ZippGo rents and delivers plastic moving boxes Oakland residents can start packing the moment they arrive. Our super strong boxes come assembled, with attached lids, and never require tape. Plus we include labels for every box and zip ties to secure each box from prying eyes. 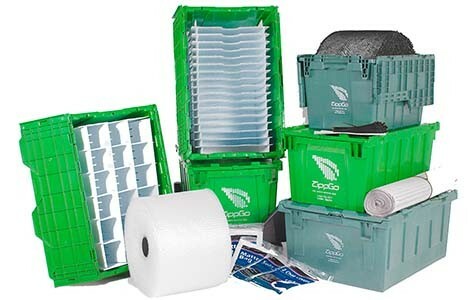 We have a great selection of packing supplies like packing paper, Greenwrap, bubble wrap, wardrobe boxes, glass divider inserts, and dish divider inserts (these make packing glasses, plates, and bowls super easy and quick) which can be added to your moving boxes delivery when placing your order. Check out these and other supplies for your move on our Moving Supplies page. 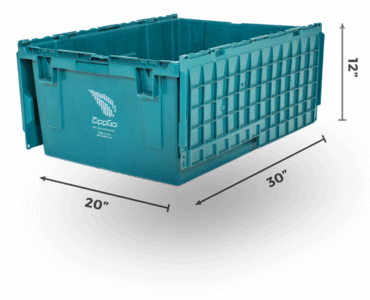 Being green and saving time are awesome, but what makes ZippGo plastic moving boxes the perfect trifecta is that you save money too. 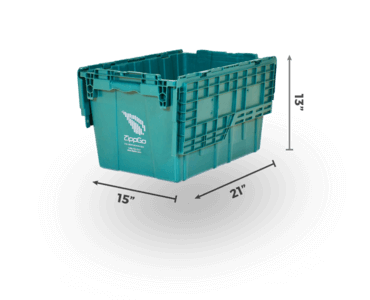 You can save up to 40% renting boxes from ZippGo over going to the store to buy cardboard boxes. Your local U-Haul store will charge you an arm and a leg for cardboard boxes and you still have to go there, drag the boxes back to your place, and spend hours building boxes. If you're considering getting used or cheap moving boxes, keep in mind they end up costing you more in the long run with the time, hassle, and additional accessories (packing tape, thick marker, etc). Another way ZippGo Moving Boxes save you money is the Oakland moving company you hire will take less time loading and stacking our boxes because they are uniform in size and designed to be easily stacked in a moving truck. When we launched our plastic moving boxes Oakland residents loved that our service made moving so much simpler. If you live in Oakland cardboard moving boxes are expensive, flimsy, require tape to seal, with the added worry that the bottom could break on you at anytime during your move. 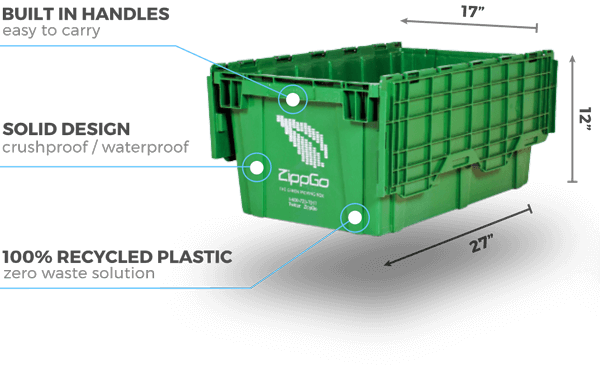 Since ZippGo boxes are made from 100% recycled plastic, they are sustainable and will never fall apart on you. We have three different box sizes and every box includes an integrated attached lid system so all you do it pack the box and close the flapping lids. 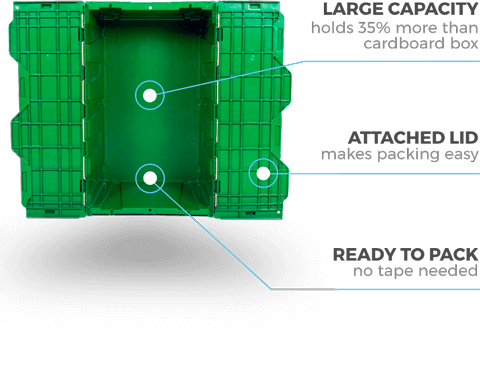 No tape is ever needed with ZippGo's green moving boxes. Also unlike cardboard boxes, you don't have to worry about the weight inside the box breaking the box. Fill our boxes to capacity without worry. "I've moved 8 times in the last 15 years and this was by far the easiest move! Loved the Zippgo boxes! Best service ever!" 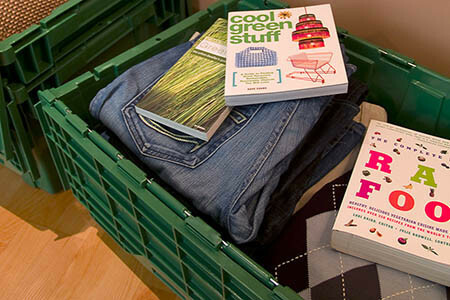 "Don't even think twice about renting these amazing green boxes. The amount of time the boxes saved me, I would gladly pay 5 times what Zippgo charges." Free Next Day Delivery in Oakland!